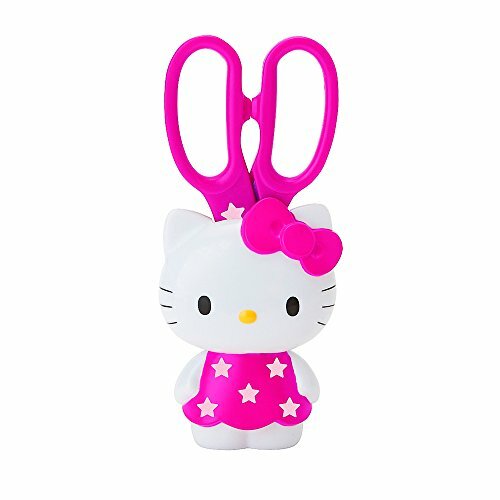 Sanrio Hello Kitty Die-Cut Safety Scissors: Cool Kid Kitty Hello Kitty Cool Kid Collection What better way to start the school year than with this Hello Kitty Cool Kid Collection. This collection has everything a student needs to learn in style. The pink and black features of this design is bold, enticing and fun! Hello Kitty in Pink dress with star Die-Cut Shape Safty Scissors Size Approx. W 2.5" x H 5.5" x L 1.5"
What better way to start the school year than with this Hello Kitty Cool Kid Collection. This collection has everything a student needs to learn in style. The pink and black features of this design is bold, enticing and fun! Size Approx. W 2.5" x H 5.5" x L 1.5"
If you have any questions about this product by KITTY, contact us by completing and submitting the form below. If you are looking for a specif part number, please include it with your message.